Current technology can be considered Smart Technology in the manner it functions and delivers to consumers. This technology has 2 key features in Cloud Capability and Wireless Flexibility. 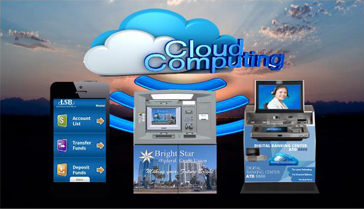 Cloud Capability enables required functions allowing for easy inexpensive integration of new functionality. Wireless Communications enables the flexibility to place a solution in any location without the need for expensive, hard to implement and managed fixed wired products. Why Would Financial Institutions Want to Be Different? Current Financial Institution technology is at least a decade old using completely closed systems that are difficult and expensive to integrate new technology. The service delivery model is based on systems that depend on very expensive physical visits to complete even the simplest of maintenance functions resulting in unneeded reliability issues and cost. The Transformation is only as good as the technology that enables it. The technology that Financial Institutions use currently to enable the devices that deliver consumer service is more than 50 years old and can be consider antiquated. The fixed servers and hard-wired communications greatly inhibit the ability to develop and deliver any new functionality. This technology continues to drive up the cost of maintaining existing or introducing any new solution. The traditional suppliers of products are becoming old in their methods also. While they talk about new solutions it takes them years to make them viable while they look for Financial Institutions to fund their technology experiments. If the future is Mobile… Why not use the Technology that Enables it? The current consensus and the obvious future is that mobile consumer service is the future. 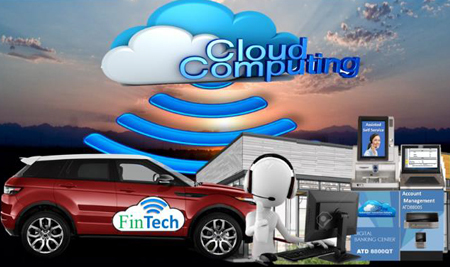 The technology that enables mobile devices uses a foundation that consists of cloud-based computing capability and the flexibility of wireless communications. It is simple agent (app) based where a connectivity agent resides on the device and the capability resides in the central (cloud) server. Currently the capability exists to use this technology to enable a growing number of new transformation solutions. This technology greatly reduces the cost of introducing new functionality and maintaining existing. As the speed of new technology and requirements to apply security software continues to grow this enabling technology will soon be a necessity. In the many years leading up to now, Financial Institutions used the same Branch and Teller model to serve consumers. The solution for growth was simple, build another branch with the prevailing opinion being “If you build it they will come.” The rising cost of this model, the preference of the consumer and the growing demand and changing opinion of convenience make a new approach necessary. The “Hub and Spoke” model has been used for distribution and service delivery for many years. In this model, a central hub supports and enables many smaller distribution or service locations. In the case of the Financial Institution, the branch offering expanded personal service would act as the hub while self and Assisted Self-Service are the spokes. This model greatly reduces operational coast while improving convenient consumer service. 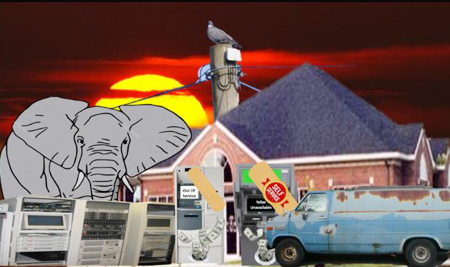 There is no single solution or model that fits every financial institution. These models will vary based on the size, budget and goals of each. The technology applied will also vary based on the demographics is the area, the proximity to the hub (branch) and the population they are intended to serve. You need look no farther than the largest Financial Institutions to understand the transformation model that is currently prevalent. The 3 largest of these are currently using the same business model to transform their businesses. 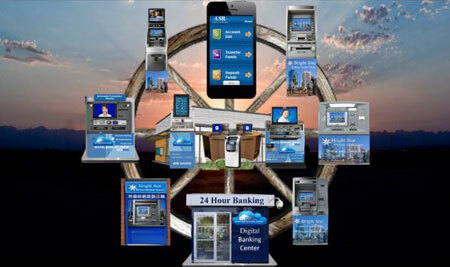 They continue to develop their Mobile capability, gradually close branches and use technology to improve the remaining. Also, they use Self-Service and Assisted Self-Service to provide convenience at a fraction of branch cost.